I am trying to install an ecobee4 to replace a digital battery powered thermostat. I removed the existing thermostat and found that there was a spare blue wire that was wrapped around the others that runs to the furnace. I tried connecting it in three different places and had no luck getting power to the smart thermostat. 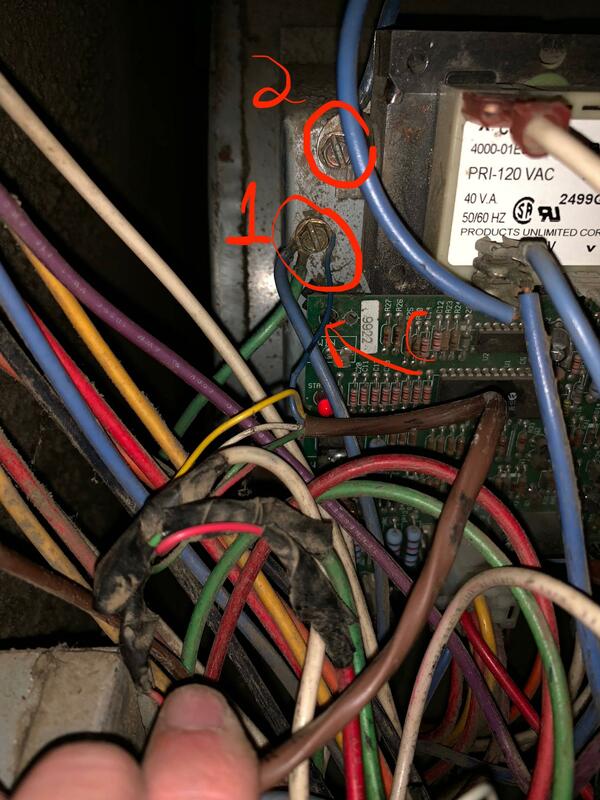 In the picture below, you can see where I tried connecting the spare blue wire to both terminals 1 and 2, after reading another stackexchange answer for a similar furnace where people were saying that any 3 blue wires coming from the transformer could be used. Unfortunately, neither worked to power the ecobee4. It's hard to see, but in this other picture there is a white wire (from what I believe is the AC unit) going to the bigger blue wire, and I also tried twisting the little blue "C" wire in with the white and blue but this didn't work either. I'm hoping someone can point me in the right direction for why this isn't working. The previous thermostat had a jumper wire installed from the Rc to Rh terminals, and a red wire going into the Rh terminal (two wires in one thermostat terminal?). Browse other questions tagged wiring hvac thermostat furnace thermostat-c-wire or ask your own question. 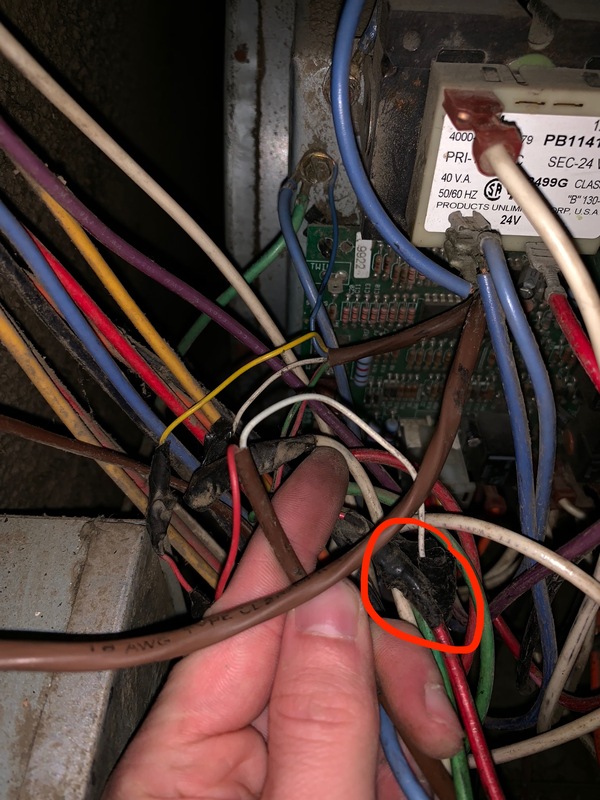 Where do I connect the C wire in my furnace?